Politicians are using fact-less myth based information, published by prohibitionists and provided by the Alcohol, Big Pharma and Private Prison lobbies, that is based on racism and ignorance to make laws and rules concerning Marijuana while stamping on my personal freedoms in the process. For example, in Strongsville, Ohio, a suburb of Cleveland, the city’s council recently voted to ban all medicinal Marijuana retail stores, as well as growing, manufacturing, and anything else associated with medical Marijuana. They cite – and I’m not kidding – that because it’s still illegal on the federal level, and these businesses can’t use banks, there will be too much cash involved in the businesses, which constitutes a safety hazard for the citizens of Strongsville. I guess banks; the local credit union, the check-cashing store, Walmart, Giant Eagle, and the mall in Strongsville don’t keep much cash around on a daily basis? Know this: The worst two addicting and problem-causing drugs in the world, alcohol and cigarettes, are sold freely in Strongsville, but the representatives on the Strongsville council voted to ban something safer and more useful based on the inaccurate propaganda they read that was probably published and paid for by alcohol and big pharma, who spends millions of dollars demonizing Marijuana. It’s like when city councils ban the Pitbull dog breed. The dogs were bred to babysit. They were called Granny Dogs – and no, I’m not kidding. They are one of the sweetest/smartest breeds in the world, yet they’re banned in many cities by people who have absolutely no idea what they’re talking about. The dogs act the way they’re trained to act, as is the case with any other breed – it all depends on the owner, so unless you’re going to ban bad dog owners, no ban is going to do you any good. The State of Ohio finally legalized medical Marijuana, as you might already know, but you can’t grow or smoke it. I’m embarrassed for the people who actually wrote the law, to tell you the truth. And the fees for licensing are so high that only people with great wealth will be able to open a business and, you can’t even smoke it or grow your own! Ironically, that was the reason Issue 2 failed in Ohio a few years ago. That would have legalized it for recreational use, too. Voters against Issue 2 were angry because the wealthy individuals who put up the money for petitions and bringing the issue in front of the voters would be the only ones permitted to grow in the beginning claiming it to be a monopoly. Like that matters, or really, what the hell is the difference? So, in Ohio, citizens are stuck with what they have, and it will probably be years before the issue comes up for a vote again (at press time, Ohio may have a full legalization bill ready for the 2018 elections!!). Medical and recreational Marijuana are basically the same. The one difference are the strains grown with lower THC and higher CBD. 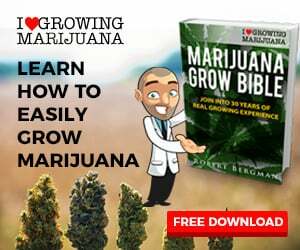 There are few real scientific studies on the effectiveness of Marijuana to treat medical or mental disease, (mostly just anecdotal evidence from users like me) that one strain or another will help with one problem or another. Do you know why there are few studies about pot, though? Because it’s illegal, everyone interested has their hands tied behind their backs while our representatives in D.C. refuse to actually do something that the majority of citizens want them to do. I use it medically myself for insomnia. I’d rather smoke pot and fall asleep in 5 minutes than take a pharmaceutical to fall asleep. Just like with a tomato, you plant a Marijuana seed, and a plant grows. In about 16 weeks, you pick the flowers (buds), dry them for a couple of weeks, and they’re ready to smoke. There’s nothing added, and no mad science; the strength of the Marijuana is based on the genetics of the strain and your skill as a gardener. Over forty years ago, I would smoke a joint and get a buzz. Today, I smoke a half of a joint and get a similar buzz. It’s a myth that the pot today is ridiculously more potent than it was 40 years ago. Is it better? Yes, mainly because of sinsemilia (growing all female plants) – but it’s not dangerously more potent. What’s the worst that will happen if I smoke a whole joint of this modern, mad science weed? You mean, besides wasting a half a joint; nothing. For the most part, you get a high and that’s it. You don’t sit there and smoke joint after joint. You don’t keep getting higher and higher like you do drinking one, two, and then three beers or martinis, for example. Trying to push prohibition because the pot of today is stronger than the pot back in the day is just a Big Pharma/Alcohol industry smokescreen used and adapted by politicians and prohibitionists and is designed to confuse the real issue at hand. When I smoke Marijuana, I get a nice high. It would be similar to a non-smoker drinking a little wine or beer. Sometimes I’ll get a little buzz and just lay around, and sometimes I’ll get a buzz and go to work, cut the grass, write this book, etc. It puts me in a better mood. I’m more creative with a buzz. It makes my life more enjoyable. I’ve developed several websites and a web-based APP, Rank Force, while I was smoking pot. And sometimes I don’t smoke pot and don’t get high. Do you really believe marijuana can be addicting to anyone? I run out weed all of the time. It’s expensive; on the street in Ohio it’s around $240 per oz. That’s a lot of money to spend and it’s illegal to grow so you have to be careful. Sometimes I’m out of weed for 2 or 3 weeks. I don’t go out and rob the local convenience store for money. I don’t have withdrawal symptoms and can’t function as a human. Marijuana addiction is another myth spread by people who really have no idea. The notion that someone high on pot is a dangerous nuisance on the road is a complete myth – they’re no more dangerous than the guy smoking a cigarette or inhaling an energy drink or using a phone. It’s also a myth that Marijuana users are potheads who sit around all day eating snacks and doing not much else besides watching TV or playing video games. I laugh out loud when I read that a doctor has to prescribe Marijuana before you can use it. To all on Earth: if you have a medical problem helped or not helped by modern medicine, try some pot. You won’t get hurt, I promise. If you eat it in some type of food, though, do be careful. This happens to many folks – you eat a cookie or gummy bear, etc., and after 30 minutes, you don’t feel anything so you eat another, and maybe even more. If you eat too much, you’ll feel dizzy and nauseous, almost like you have motion sickness or a hangover. All you have to do is lay down. You’ll be back to normal feeling fine in a very short while. You don’t have to call the rescue squad or go to the emergency room. I’ve eaten too many cookies before and felt just as described. I took a nap for a couple of hours and felt fine. In fact, I’m so convinced that weed is safe, I hereby prescribe Marijuana for everyone in the world. How do I know it’s safe? I’ve been smoking it for over 49 years. I’m 66, and still going. Is pot perfect? Hell, no; if you allow it to, it can turn you into a couch potato… but that’s as far as it goes; a couch potato. Not a stumbling drunk who gets into fights or car accidents, or causes all kinds of problems for society. Read your local police reports; most of their disturbance or domestic calls have alcohol involved and there is a lot more of them then most people realize. Alcohol is poison and death and it’s perfectly legal. That reason alone should be enough to legalize pot with a stroke of a pen today. I’m an adult; I can make choices for myself. If alcohol is legal because most people can use it responsibly, then so should Marijuana. Is it dangerous? Long-term? The truth is nobody really knows because it’s never studied. All I can tell you is this: in recorded history, there are no mentions of death from cannabis. I’ve used it long term and I’m still standing. Marijuana helps to make my life better. I personally know hundreds of others who will say the same thing. Sometime I rant a bit about Marijuana legalization because I’m past the point of reasonable negotiation about the matter. It’s been years of cannabis prohibition that started with a racist attempt to harass Mexicans about 80 years ago that morphed into a way for the government led by Richard Nixon to harass black people and political opponents 46 years ago and sadly, continues to this day. The competing industries of weed, Alcohol and Big Pharma, have taken the hand-off from the government and using their influence and money; have stoked the racial fires by encouraging even more prohibition.